Coopers Auto Repair Specialists is a foremost Honda Hybrid repair shop that boasts certified auto technicians who love what they do and are eager to leave smiles on the faces of our esteemed clients. Like any other item that is of value, caring for your automobile is quite important. Routine maintenance and servicing are needed to keep the engine in good condition and in the event of a breakdown, professional auto repair service would be required. Coopers Auto Repair Specialists provides top-notch auto care for your Honda Hybrid in Tacoma, WA. We have been in the auto repair business for many years and we have expert technicians with unmatched zeal and dedication. Whether your Honda Hybrid is need of servicing or repair such as transmission repair, brake repair, exhaust repair or any other auto care need, Coopers Auto Repair Specialists is always at your service. Coopers Auto Repair Specialists is an AAA approved NAPA Auto Care Centre that is additionally Hybrid certified. We boast state-of-the-art diagnostic tools and equipment that can be used to detect your vehicle’s auto repair needs. We have been in the business for quite some time and we are familiar with all Honda Hybrid models. You can trust your vehicle is in good hands when you bring it to Coopers Auto Repair Specialists. Although we specialize in the repair of all Honda models, we have a special interest in the Hybrid models because we believe in protecting our environment from pollution. We are happy you have joined the good fight by choosing an environmental-friendly car model and our mission is to ensure you do not regret the decision. Our premium auto repair services are set up to provide everything your vehicle needs in terms of repair and maintenance. 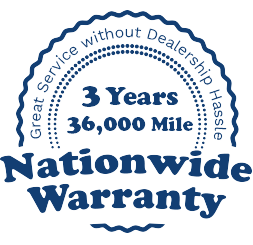 Our services come with a guarantee of 36,000 miles or 3 years. We boast top-class auto technicians that have been adequately trained to repair Honda Hybrid cars. All our technicians are ASE certified and they have a rich wealth of experience in the repair of various models of Honda Hybrid cars. Our technicians know their onions and we provide the repair and maintenance services recommended by the manufacturer. It doesn’t matter if you are driving a Honda Accord Hybrid, Honda Clarity Hybrid, Honda Insight, or any other Honda Hybrid model, our expert technicians have the solution to all your auto repair needs in Tacoma, WA.